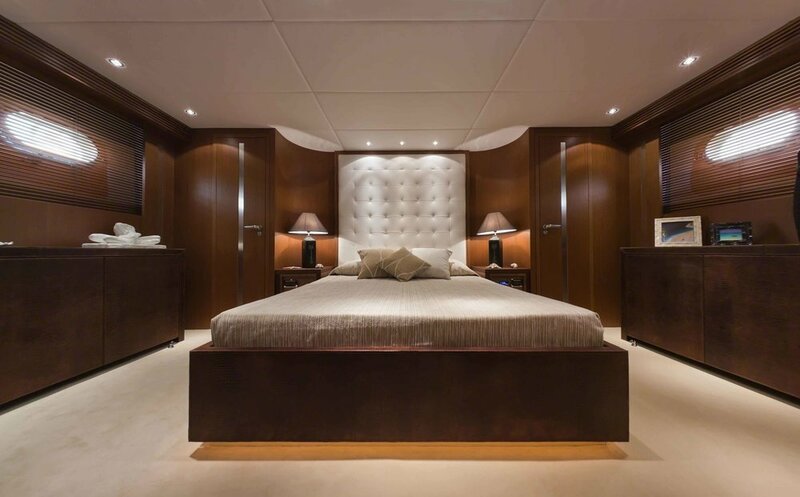 The interior of your boat or yacht is simply the most important part of the whole layout, which is why your yacht is not complete unless you have chosen the perfect furnishings to compliment your very own taste. If you are looking for high quality, luxurious furnishings for your yacht, look no further than Atelier Funfrock. We provide completely bespoke solutions, tailored completely to your needs. Our range of furnishings are handmade, ensuring only the very best quality in every product that we create. Our range of deluxe fabrics are produced to the highest standard so you can be confident that they will last, even withstanding the crisp sea air and harsh glare of the sun. Our marine furnishing services include everything you need for your boat & yacht requirements. Whether you are looking for the perfect contemporary upholstery for your seating or some beautiful, classically designed curtains or blinds, our expert craftsmen produce only the finest handmade products and fit them in your yacht or boat to your exact specification. If you would like more information about how we can help you with your yacht interior furnishing needs, contact our expert team at Atelier Funfrock.